After slogging through four hours of a City-Parish Council meeting Tuesday night before the budget was even introduced, I’m not sure you need much more of an argument for splitting up the council. Let’s show some mercy to the poor council members, public advocates and journalists going cross-eyed while enduring meetings scheduled back to back to back to back. Why would anyone vote against cutting the length of these meetings in half? Well, apparently, there’s a number of reasons why people are against these proposed charter amendments. I’ve kept a running tally that’s more than two dozen long. Not every argument holds water, but some are compelling and worth exploring, even if this is an initiative you fundamentally support, like I do. So let’s dive into some of the emerging arguments against splitting up the council and dig a bit deeper to understand what’s really worth worrying about when it comes to deciding whether to make this substantial change to how Lafayette’s city and parish governments operate. You can read the case for the split council by my colleague, Christiaan Mader, here. It’s going too damn fast! It’s clear that many people were taken off guard by the amendments. At each council meeting, people have raised eyebrows at just how quickly it all seems to be going. If it’s moving so fast, it can’t possibly pass the smell test. Whatever your speed, the amendments’ co-sponsors — Boudreaux, Bruce Conque and Jay Castille — technically followed protocol for introducing ordinances. Any council member can engage the council’s legal counsel to draft language for any amendment or ordinance, after which it is brought to the council to vote to introduce it and then vote to approve it. But, if the goal was to build consensus for these amendments on the council and among the public, then one could argue that the rollout of these changes didn’t follow the best process. All three of the council members opposing the amendments — William Theriot, Jared Bellard and, thus far, Pat Lewis — and a significant portion of the voting public believe they were intentionally left out of this discussion and that there should have been more of their input into this process. While legal, it’s clear that the failed politics of this endeavor could overwhelm the merits of the amendments themselves. 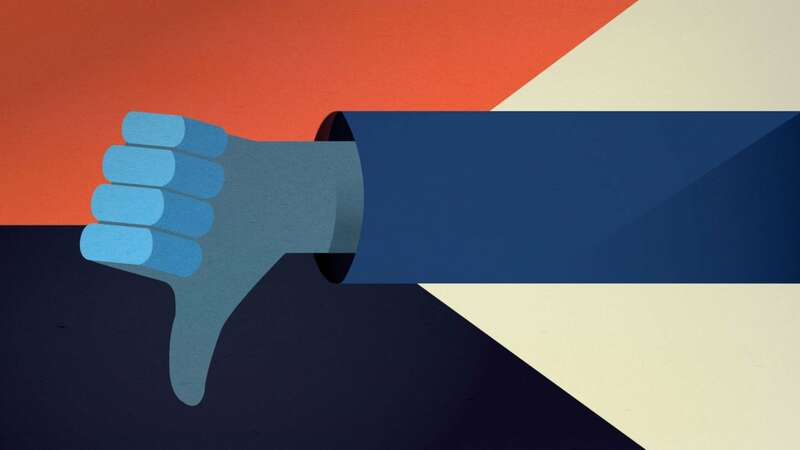 Failure to garner input could result in suspicion and undermine the new form of government. Another major theme that’s emerging against these amendments is the way they’ll change control over who’s in charge of what. There’s also concern that too much control will be given to too few people if each council only seats five members. 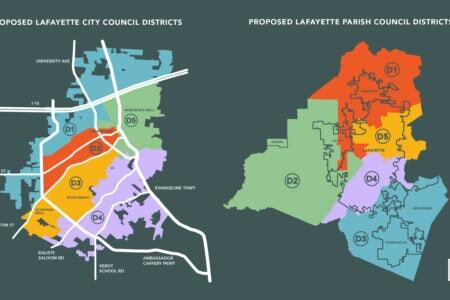 An argument made by Theriot at his joint townhall with Bellard, both opponents of the amendments, is that the way the new maps for parish government are drawn, each district contains a portion of the city of Lafayette. His fear is that as a result of this arrangement, residents of the city of Lafayette could end up in control of both the city council and the parish council, and that if that were to happen, the parish council would ignore the many issues facing areas outside of the city. Technically, however, the way the current districts are drawn, all nine of the city-parish council members could live in the city even if they represent majority parish districts. Bellard, for instance, lives in the city but represents a district that’s 80 percent parish. Additionally, as it stands today, the city is in control over what happens with parish government; there are five city-majority seats out of nine on the City-Parish Council. In the latest maps drawn for these amendments, the new parish council would only have two out of five city-majority seats. By splitting the councils, the areas outside of the city would gain control of parish government. While one could question the fairness of this given that more than half of the population still lives in the city, according to the last census, and the parish residents who live in the city are responsible for paying almost two-thirds of the parish government’s tax revenue, the main point to acknowledge is that the rest of the parish will actually be gaining more control over the parish government rather than losing. You can also make the case that split councils would give more control to each side of the equation: a parish council for parish concerns and vice versa. But that doesn’t address the other control issue that the councils are too small. For starters, the way our districts are currently set up, each City-Parish Council member represented just under 27,000 people. But with only five members spread across the entire parish, each elected official will have to represent almost 50,000 residents. Complicating things further, with only five members on either council, it’ll take four votes to reach a supermajority. That means if we ever have a single council member who votes no on everything, then it’ll only take one more person to potentially grind government to a halt. Proponents argue that smaller councils limit the additional cost to the operations of government. But, let’s be clear, bumping up to seven would add, at minimum, only $120,000 in additional costs for four additional salaries, instead of $30,000 for only one additional council member, as currently proposed. While that might sound like a lot of money, realize that these councils are effectively the board of directors for a combined enterprise that makes decisions on spending more than $600 million of our money every year. Even considering salaries for additional support staff, that added cost would be minor relative to the existing size of government. It’s a rounding error. Something that likely wouldn’t require additional revenue to accommodate. There’s a kernel of truth in most conspiracies, and there are several worth considering here. Opponents argue that the amendments are Trojan horses to extend term limits for council members, to make it easier to sell LUS, to raise taxes, or to sneak something in before the 2020 census. At the get-go, the predominant theory was that this whole thing was a scheme to remove term limits. From the looks of it, that conspiracy is dead on arrival. The term-limited council members — Bellard, Theriot, Boudreaux and Castille — won’t seek office. And the rest have agreed to roll over their existing term limits. Those changes were made largely due to public outcry. But things got more panicked when The Current’s Leslie Turk broke the news that Mayor-President Robideaux is considering a deal that would turn control over LUS’s electric division to a private equity company. But given that the council was unaware of these efforts before our coverage and given that Robideaux has not come out in support of the charter amendments, it seems unlikely that splitting the council is a big conspiracy to sell LUS. Control over LUS has always figured into debates about consolidation. And proponents argue that the potential privatization of the public utility is a case in point for splitting the councils. Yes, splitting the council will make it easier to raise taxes if the people of the city or parish want to raise taxes. But it will also make it easier to lower taxes. Other conspiracies have sharper teeth. For instance, it could, theoretically, be easier for smaller councils to raise taxes. A better way to think about this is that splitting the council will allow representatives to focus more on fixing the issues that matter most to their constituents, whether that includes raising taxes or lowering them. Right now if parish residents want to change their taxation, they have to get approval of the majority of the council, which lives in the city. The same is true of the city, which must get approval of people who don’t live in the city when deciding how to manage city sales and property taxes and their resultant revenue. So, yes, splitting the council will make it easier to raise taxes if the people of the city or parish want to raise taxes. But it will also make it easier to lower taxes and better ensure that the spending priorities align with the relevant taxpayers’ interests. Then there are conspiracies that are so true, they aren’t conspiracies. Some argue that the amendments are an attempt to sneak something in before the 2020 census. 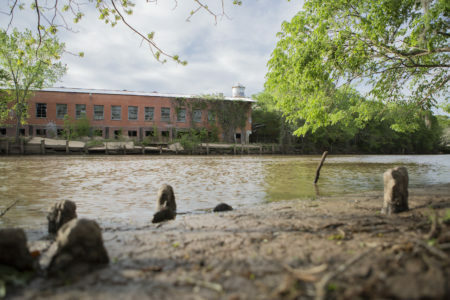 There’s been a pretty open and honest dialogue, however, that the urgency around making these changes now is that they could become that much harder to make in the future if the parish outgrows the city in 2020. In that scenario, there’s the potential that the city of Lafayette would never be able to regain control over how we’re taxed and how our tax dollars are spent. Just because you’re paranoid, doesn’t mean they’re not after you. Perhaps the most compelling challenge is that this simply isn’t the right approach. Some say the split council idea doesn’t go far enough, that we should deconsolidate the mayor-president’s office or revisit full deconsolidation. A rival option, care of Councilman Theriot, is that we divvy up the unincorporated parts of the parish among the municipalities and effectively abolish most of the parish side of local government entirely. Pat Lewis has suggested we keep everything the same but instead implement a proportional voting strategy for any issues related to the city where each council member’s vote is weighted based on how much of the city his or her district includes. It could definitely prove true that the split council option doesn’t go far enough. But deconsolidating the council now doesn’t preclude deconsolidating more aspects of LCG later. Like it or not, what we’re witnessing is democracy in action, which often isn’t pretty. Theriot’s concept of divvying up unincorporated Lafayette is intriguing: Solve the parish government’s problems by just getting rid of it entirely. But doing so would still require the city of Lafayette to form its own city council and presumably its own mayor. It would also mean forcing the 68,000 people who live in unincorporated Lafayette to start paying city taxes, which would be politically challenging to say the least. Lewis’s concept of proportional voting would save us the cost and headache of creating all new districts and managing two separate but overlapping councils. But it could also make things more complicated for the public to understand. Plus, it still wouldn’t resolve the fundamental conflict of having part-time city and part-time parish council members. Whether these options make sense doesn’t necessarily invalidate the approach currently on the table. But there’s merit in exploring other fixes for a government that most involved agree isn’t working. Like it or not, what we’re witnessing is democracy in action, which often isn’t pretty. These amendments will help our city and our parish move in the right direction to fairer representation and, most important, shorter council meetings.